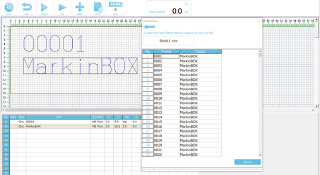 Software for MarkinBOX series | Tokyo Chokoku Marking Products Co.,Ltd. Automatic conversion of DXF data. CSV data can be imported. Excel and other csv data can be easily marked. The following video introduces the advantages of Windows based software "sketchbook2". 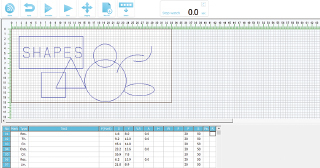 Sense of free drawing on paper and intuitive operation using icons; PC fonts also can be marked as they are. *PC fonts are supported only when a PC is connected. 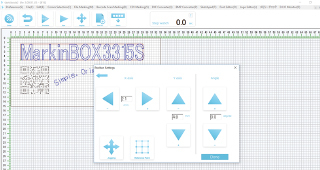 Rectangles, circles, straight lines, ellipses, triangles and other figures can be drawn using shape icons; thus simple markings can be easily created and makred. 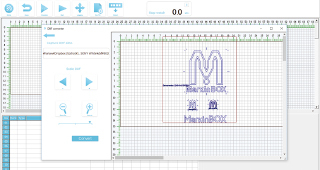 Automatic conversion of DXF data is standard included; input data can be automatically converted into MarkinBOX marking data. * Straight lines, circles, ellipses and polygons are supported; splines and letters are not supported. CSV marking is included as a standard; Excel (CSV format) and other databases can be retrieved with one click. Create new files and modify existing files. 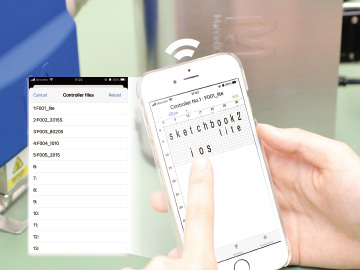 Files can be saved to the MarkinBOX controller or to the hand held device. 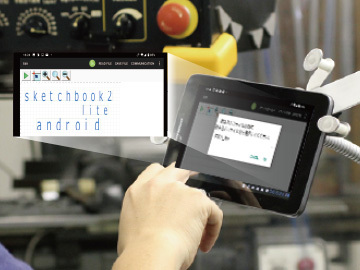 The following video introduces the advantages of android based software "sketchbook touch".